Japanese whalers exploit a loophole in international law by claiming that they hunt whales for scientific research. It is well established that they are lying. Western governments and their public are outraged by this flouting of international law, and by the barbaric suffering caused by this practice. Whaling is not something that can be done humanely: the explosive harpoons almost never kill a whale outright. Successfully piercing the right spot on a fleeing whale in the tumultuous conditions of the Antarctic waters is extremely difficult. Furthermore, as whalers want to preserve as much of the body as possible, they use smaller amounts of explosive, decreasing the chance of a quick kill. This often results in an agonising and slow death – first the creature is pierced by explosive harpoons, then she is painfully dragged through the water, slowly dying of her wounds. And yet this suffering is not why the West condemns whaling. Instead, our media and governments impose our beliefs on Japan in the name of ‘conservation’. The worst aspect of this mealy-mouthed justification is that its central tenet is factually false. 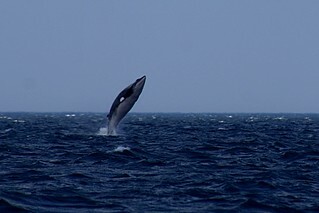 It is a common misconception that minke whales are an endangered species. They are not. Most other species of whale are endangered, but the minke whales that the Japanese hunt are not ESA-listed. Even if minke whales were endangered, why would that be a justification for imposing a law on another nation? To impose a law on others requires a moral justification, and what exactly is the moral element to a conservationist law? How, exactly, does the size of a species’ population affect the moral value of an individual being? If, for example, there were an extra 10 billion humans on the planet, would you lose your right not to be tortured because your species was overpopulated? Or what if the population of humans on earth was only a few million – would you be entitled to some extra human rights? To put it another way, if an island were suddenly discovered on which millions of dogs lived, thus massively increasing the known population size, would it be morally acceptable for me to shoot your dog? And if there were only one Greater Potato Beetle left in the whole world, would its life be worth more than an orang-utan’s? When you get right down to it, the number of other beings who are similar to you has no bearing on your moral worth. The position of Western governments and media effectively boils down to this: exotic animals are nice to look at; it would be a shame if we couldn’t do that anymore. In other words, whales are exotic to us and we like to look at them, so we tell the Japanese that they’re not allowed to hunt them. Our hypocrisy is laid bare by the fact that a loophole in the law exists in the first place. Do you think a whale is comforted by the thought that her agonising death is in the name of research rather than cuisine? How on earth does the West think it has the moral high ground when its factory farming methods quite literally result in the needless torture of billions of animals each year? How can the West, which provides EU subsidies for bullfighting, in which the beasts are partially blinded and stunned beforehand in order to allow the ‘brave’ matador to win, find the audacity to impose laws on Japan? The hypocrisy of a culture that will blind, poison and torture dogs, cats and rabbits in order to design shampoo in a slightly cheaper manner is staggering in its thoughtless lack of self-awareness. All of this excruciating suffering is entirely needless and unnecessary. It exists so that transnational corporations can make slightly more profit. It is not remotely justifiable by any sane moral standard, and yet we turn a blind eye to it, choosing only to notice barbarism in other cultures. There is an irrefutable argument to ban whaling: it causes unnecessary death and suffering. That’s all that needs to be said. All this vacuous hand-wringing about beautiful creatures and population size is merely a way to hide our own unethical hypocrisy.